Only attend the session your division is assigned. TICKETS ARE $29 PRESALE AND $33 AT THE DOOR. · THE 16th OF OCTOBER IS THE LAST DAY YOU CAN PURCHASE A PRESALE TICKET. AFTER THAT ITS $33 and$37 at the door. 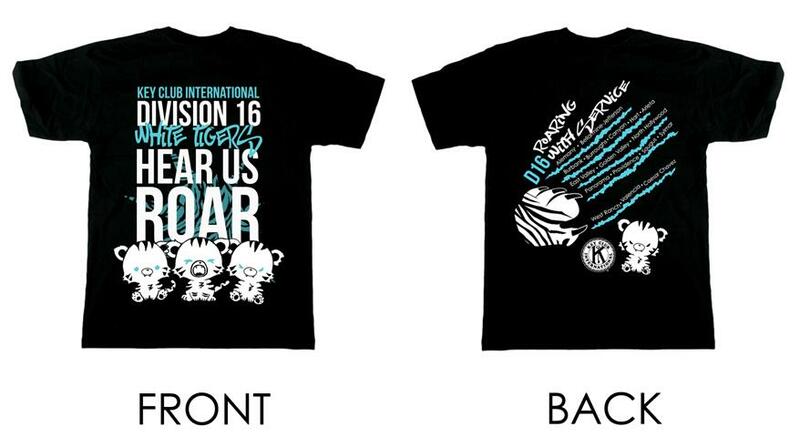 · October 23, 2012 IS THE LAST DAY TO BUY SPIRIT WEAR. · If you have a season pass then you still need to purchase a wristband for $5. · If you are paying for a ticket and spirit wear, please do it in separate checks or separate cash. THE SHIRT DESIGN HAS BEEN DECIDED! 1. FALL RALLY IS THIS SATURDAY, NOVEMBER 10th!!! - Let's get out SPIRIT ON to RAISE FUNDS FOR PTP! ALSO, OUR NEXT KEY CLUB MEETING IS IN THE GYM ON TUESDAY IN PREPARATION FOR FALL RALLY!!! 2. Key Club Week starts this Monday, November 9 to November 10! A whole week dedicated to the celebration of Key Club International and all of our accomplishments so far! - SHOW YOUR K IN EVERY WAY. It's time to get your sprit gear on! Wear your favorite Key Club gear: pins, lanyards, shirts, sweaters, ANYTHING KEY CLUB! - Say thanks and show appreciation to our AWESOME club advisor, Mrs. Hong. If you have not gotten the chance to do so yet, introduce yourself to her and say thanks! BECAUSE WITHOUT HER, our club WOULD NOT BE POSSIBLE! - Stop by the Local Builder's Clubs (middle school) and encourage younger siblings to join it. ^^ Spread the love! - Invite potential members to Key Club so they can see just what we are about! Introduce them to our WAY OF LIFE: CARING. :D REMEMBER: WE ARE INDEED OPENING UP APPLICATIONS AGAIN IN JANUARY! 6. November 10th - FALL RALLY!!!! **IMPORTANT - ATTACHED IS THE CNH NEWSLETTER! PLEASE READ IT FOR SOME BUZZING NEWS ABOUT ALL THE GREAT THINGS THAT ARE HAPPENING OVER OUR DISTRICT. A word from the Lt.G. Three million Americans joined together in service on Saturday, Oct. 22, as part of Make A Difference Day, the largest day of community service each year. For more than two decades, Points of Light has partnered with USA Weekend to sponsor Make A Difference Day. It is the day we celebrate the power of people to use their time, talent, voice and money to create change. Our collective effort has grown over the years to include people from all walks of life – young and old, families, cities and communities large and small. These volunteers see a problem or an opportunity in their community and take action to address it. They touch the lives of millions and find their own lives changed and transformed. 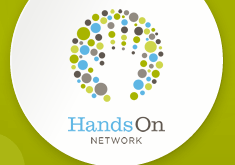 More than 50 HandsOn Network affiliates hosted signature Make A Difference Day projects addressing a variety of community needs. In Washington, D.C., more than 200 volunteers – including employees from Make A Difference Day sponsor Citi – worked together to revitalize J.C. Nalle Elementary School. Their work included painting, landscaping, creating play spaces and improving the school’s library. Service has long been a priority for Citi, and it is built into the core values of the organization. The company’s sixth annual Global Community Day – aligned with Make A Difference Day – engaged more than 50,000 employees, along with their family and friends, in giving their special skills and expertise in more than 90 countries with one goal in mind – to make a difference in the communities where they live and work. Hey white tigers, here are the make a difference day waivers. Make sure you get them in to any service club representative. Mrs. Hong will be accepted them as well. You can also find an officer and give it to them. Waivers are due by Friday, October 12, 2012, THIS FRIDAY. Make sure to get them in! Location: AIDS Walk Los Angeles will start and end in West Hollywood. Enter at Melrose Avenue and San Vicente Avenue. 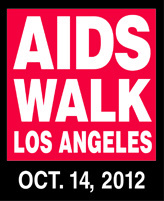 Click here to sign up for the AIDS walk on Sunday, October 14, 2012. You will be signing up to walk with the entire Region 7 Key Club team. Free parking is limited, carpool with friends and arrive early! Enter from La Cienega Boulevard. Enter off 3rd Street from Gracie Allen Way or George Burns Road. There will be a shuttle service available every 30 minutes before and after the event. Street parking is also available surrounding the AIDS Walk Los Angeles venue. Please note that all parking restrictions will be enforced. The Beverly Center (8500 Beverly Blvd) is available for AIDS Walk Los Angeles participants from 7 a.m. - 2 p.m. Enter on either La Cienega, Beverly Blvd or San Vicente Blvd. Participants must show their Certificates of Completion to waive the parking fee. Certificates are distributed as walkers cross the finish line on San Vicente between Melrose and Santa Monica. For $15, park at the Pacific Design Center at 8687 Melrose Ave, just east of San Vicente Blvd. Enter on Melrose Ave, approach driving Westbound on Melrose from La Cienega Blvd. Please note that this parking structure is only accessible before 8 a.m. Cars parked at the Pacific Design Center will not be able to exit until after 12 p.m. Wheelchair accessible parking will be at the Pacific Design Center. There was a great turn out at River Rally! Thank you for everyone that participated! Hopefully you got the chance to check in with an officer. If not, try to have proof that you did go so that we can give you hours! Come help clean a portion of the Santa Clara River… the longest free-flowing river and one of the last two natural river systems remaining in Southern California. Be a part of the solution for a better environment by helping to preserve the river's natural beauty and variety of wildlife. To date, thousands of volunteers have collected over 360,000 pounds of trash and debris from the Santa Clara River and its tributaries! Participants will be provided with gloves, collection bags, and refreshments. Visit the Environmental Expo, with over 20 vendors, to learn about recycling, air quality, pollution prevention, water quality, open space preservation, wildlife conservation, and much more! This is an excellent volunteer opportunity for scout troops, youth groups, and the entire family! Volunteers should wear sturdy shoes (NO SANDALS), appropriate clothing for walking in the riverbed, sunscreen, and a hat. Carpooling, walking, or biking are highly encouraged as parking space is limited. For more information on River Rally, please call (661) 284-1415. The River Rally will be held in the riverbed behind the Canyon Country Post Office, 18336 Soledad Canyon Road. Parking is limited, so we encourage carpooling. Thank you for volunteering for the River Rally on Saturday, September 22, from 8-11 AM. We are very happy to have you participate! Please read the following event information carefully. Please bring the completed waiver to check and you will receive a wristband. If you are a team leader, collect all the waivers and bring them to the check-in table and you will receive all of the wristbands for your group. • Don't forget the sunscreen. Please go on www.HandsOnSCV.org and make a profile and express interest in the Santa Clarita River Rally. This way you're name will appear on the check-in list on saturday. Don't forget to fill out and bring you're waiver or you wont be able to participate! Attention Key Clubbers! Here is the Final list of volunteers for the College Fair this Thursday. If you are on the list, make sure you know when your shift is and to check-in on time at the gym lobby with Mrs. Malowe. Mrs. Fiock is making a sign in sheet out of this list and your name should be on it with your respective shift. PLEASE make sure to tell me or Jordan if you can no longer make it to the your shift AS SOON AS POSSIBLE. Thanks to everyone for volunteering! See you all there! The college fair will be hosted at Golden Valley High School this year on Thursday, September 13, 2012. The event will last from 4:30pm to 9:00pm and offers opportunities to volunteer, earn hours, and even get more information on colleges. The volunteer shifts have all been filled! Thank you for signing up and please try your best to be there! There was a bit confusion at the last meeting on 9/11/12. Applications are indeed due on Friday, September 21st, 2012. That's NEXT WEEK! It's going to get here in a hurry so please make sure to turn in your application AND your dues to a Key Club officer or committee member ASAP if you wish to be a part of the club. Spread the word of the due date so that people will not have to be excluded because they missed the day.